Gary Tucker was born on November 7, 1944, in Long Beach, California. He enlisted in the U.S. Army on November 29, 1966, and completed basic training at Fort Bliss, Texas, in February 1967. After completing Advanced Individual Training as a Cavalry Scout at Fort Knox, Kentucky, SP5 Tucker attended Infantry Officer Candidate School at Fort Benning, Georgia, where he was commissioned a 2d Lt in the U.S. Army on November 1, 1967. His next assignment was as a Training Officer with Company B, 4th Battalion, 2nd Brigade with the Basic Combat Training unit at Fort Lewis, Washington, from November 1967 to September 1968. Lt Tucker attended additional combat training at Fort Sherman, Panama Canal Zone, from October to November 1968, and then served as a Platoon Leader with Company B, 2nd Battalion (Mechanized), 2d Infantry Regiment of the 1st Infantry Division in South Vietnam from November 1968 to March 1969. He then served as Flame Platoon Leader with Headquarters 2d Battalion from March to June 1969, followed by service as a Detachment Commanding Officer and S-1 (Personnel) Officer with the Replacement Detachment, 1st Admin Company with the 1st Infantry Division in South Vietnam from June to October 1969. His next assignment was as Company Commander of Company D, 3d Battalion, 3d Advanced Individual Training Brigade at Fort Lewis from December 1969 to December 1970, and then with Headquarters, 3d Advanced Individual Training Brigade, from December 1970 to October 1971. Capt Tucker served as a Project Officer at the U.S. Army Infantry School at Fort Benning from November 1971 to January 1972, and he then attended the Infantry Officer Advanced Course at Fort Benning from January to September 1972. He next attended Basic Airborne training at Fort Benning in September and October 1972, followed by service as a Training Advisor with U.S. Military Assistance Command Vietnam from December 1972 to February 1973. Major Tucker served as Assistant Professor of Military Science with the Army ROTC detachment at Oklahoma State University in Stillwater, Oklahoma, while also completing his bachelor's degree there from February 1973 to December 1974, and he then served as an Instructor at the U.S. Army Infantry School at Fort Benning from January 1975 to January 1977. His next assignment was Chief of the Requirements Branch with the U.S. Army Infantry School at Fort Benning from January to December 1977, followed by training at the Organizational Effectiveness Training Center at Fort Ord, California, from January to April 1978. 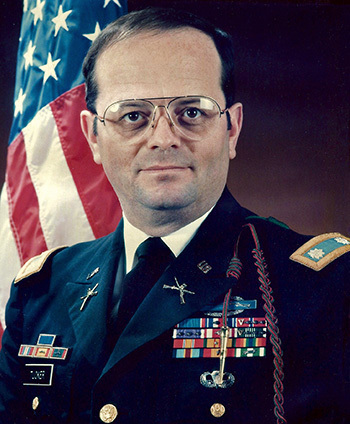 Major Tucker served as an Organizational Effectiveness Staff Officer with Headquarters 32d Army Air Defense Command in West Germany from June 1978 to December 1979, and then as S-1 (Personnel) Officer with Headquarters 3d Brigade of the 8th Infantry Division in West Germany from December 1979 to June 1980. His next assignment was as S-3 (Operations and Training) Officer with Headquarters 2nd Battalion of the 13th Infantry Regiment in West Germany from June 1980 to June 1981, followed by Command and General Staff College at Fort Leavenworth, Kansas, from August 1981 to June 1982. His next assignment was as an Organizational Effectiveness Staff Officer on the Faculty of the U.S. Military Academy at West Point, New York, followed by service as a Professor of Military Science with an Army ROTC detachment until he retired from the Army on February 1, 1993. Gary Tucker died on September 20, 2013, and was buried at Arlington National Cemetery. 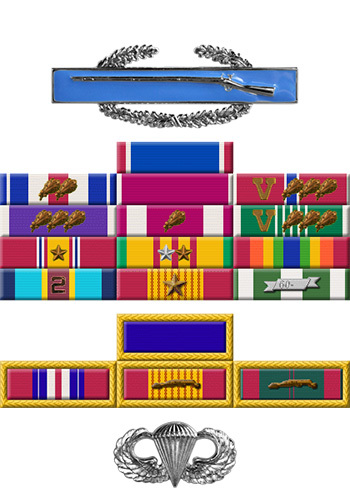 For extraordinary heroism in connection with military operations involving conflict with an armed hostile force in the Republic of Vietnam, while serving with Company B, 2d Battalion, 2d Infantry, 1st Infantry Division. First Lieutenant Tucker distinguished himself by exceptionally valorous actions on 27 December 1968 while serving as platoon leader during a cordon-and-search operation north of An Loc near the village of Ap Charac. As his force neared the hamlet, the enemy opened fire with small arms, automatic weapons, and rocket-propelled grenades. Lieutenant Tucker immediately coordinated a counter attack, killing three enemy soldiers while his men overran five hostile bunkers. He then maneuvered his platoon to the assistance of another element. En route, one of his track vehicles detonated a mine. He quickly ran to the aid of the wounded men, ensuring their evacuation and care. When a machine gunner was struck by grenade fragmentation, Lieutenant Tucker pulled the injured man from his vehicle and carried him to safety. Returning to his platoon, he repaired a malfunctioning machine gun. Throughout the battle, he continued to evacuate casualties, repair jammed weapons, distribute ammunition, and constantly exposed himself to the hostile barrage. He conducted the final sweep through the communist position and was responsible for killing one soldier and capturing another. He then called in air strikes to completely destroy the enemy force. First Lieutenant Tucker's extraordinary heroism and devotion to duty were in keeping with the highest traditions of the military service and reflect great credit upon himself, his unit, and the United States Army.